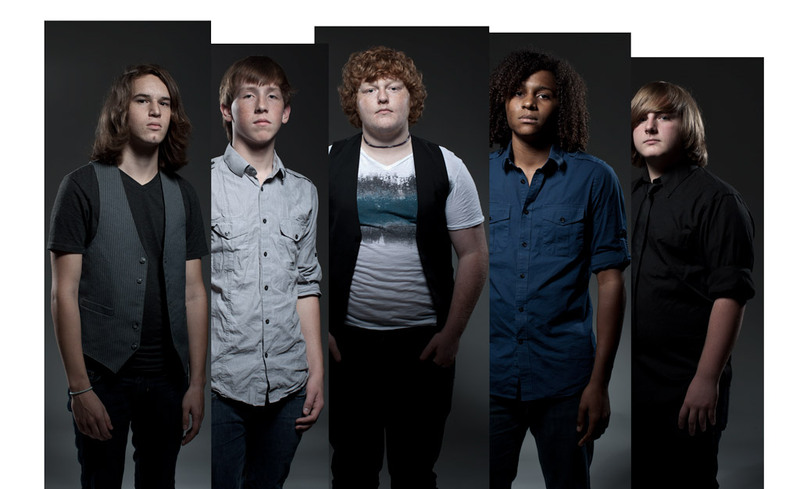 Shot back in 2010 for up-and-coming Christian rock outfit Adalee, this is a composite of 6 separate images. I explain exactly how to set up a shot like this in my posing eBook, but suffice it to say that capturing everything in-camera can be quite challenging! 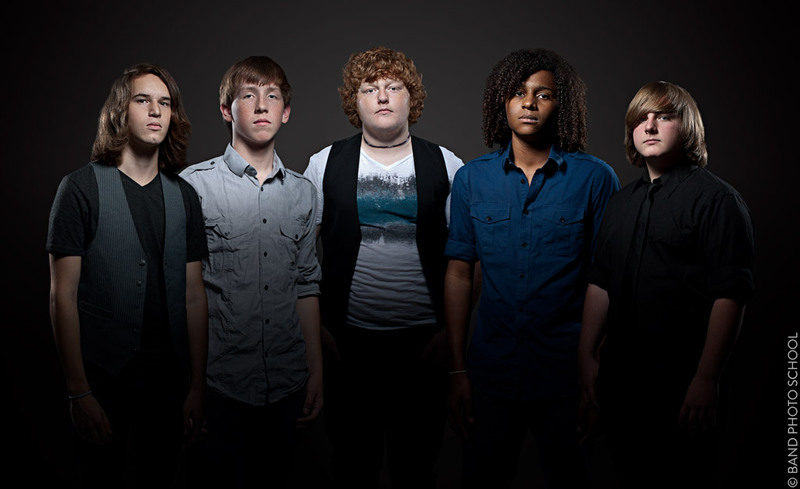 Each individual band member was lit with a 22" gridded beauty dish as key, placed at a 45 degree angle and boomed overhead, as well as a stripbox for rim, placed diagonally opposite the key. In order to create the illusion that the entire band was lit simultaneously using the same light sources, I had to figure out in advance where each person would eventually be positioned in the final image (left or right of center), and then reverse the lighting setup as needed. This image was processed in Lightroom and Photoshop. The background was created using a Radial Gradient from light to dark gray.